Unable to show your data - "Too many rows"
Why do I receive this error message in the Data Explorer/Dashboard view? This message is usually displayed when there's lots of data in your account and you are trying to view too much at the same time. Funnel currently limits the number of rows we can query to 100,000 in order to improve performance. 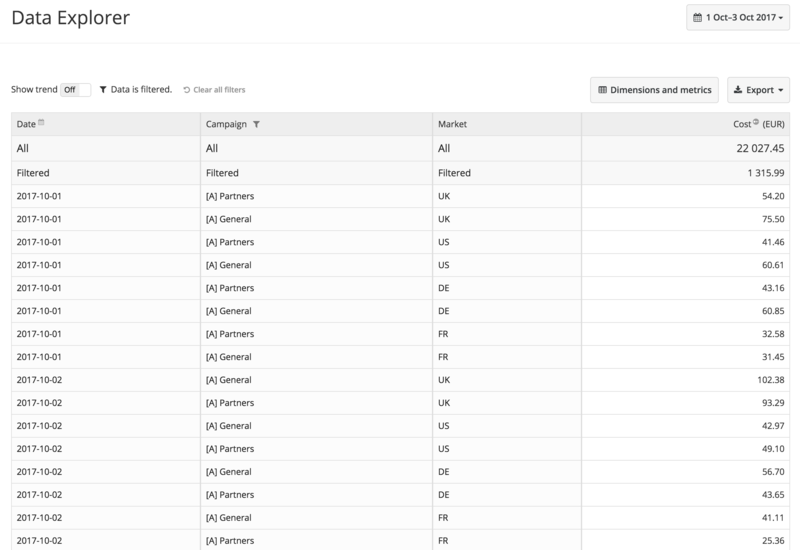 Note that even when filtering the data in the web browser, Funnel still queries the entire data set in order to show the filtered data and allow you to quickly change the filters. If you're using a large date range, 2 years for example, simply selecting a shorter period may resolve the issue. Removing the Market dimension in this example would significantly decrease the number of rows that Funnel needs to query. If you receive this error message in your dashboard, setting a filter on the dashboard level is another option that can help reduce the size of the query. 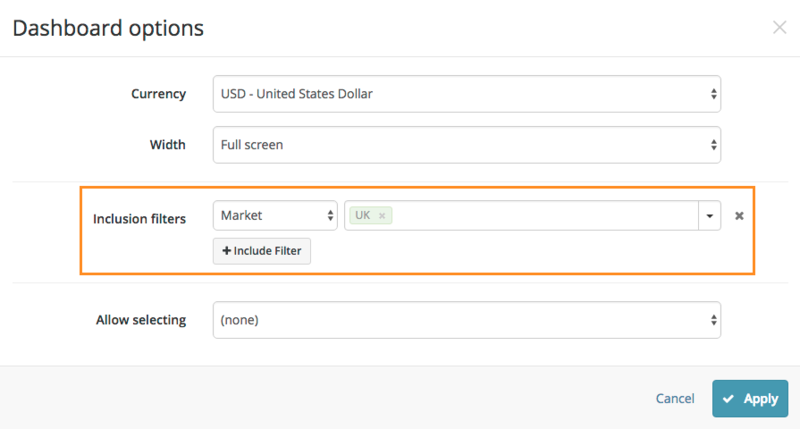 When creating individual widgets, Funnel will now have fewer rows to query.